Enlighten your home with this auspicious marble Kalash made from white Marble which reflects the artistic brilliance and adds elegance to your decor. 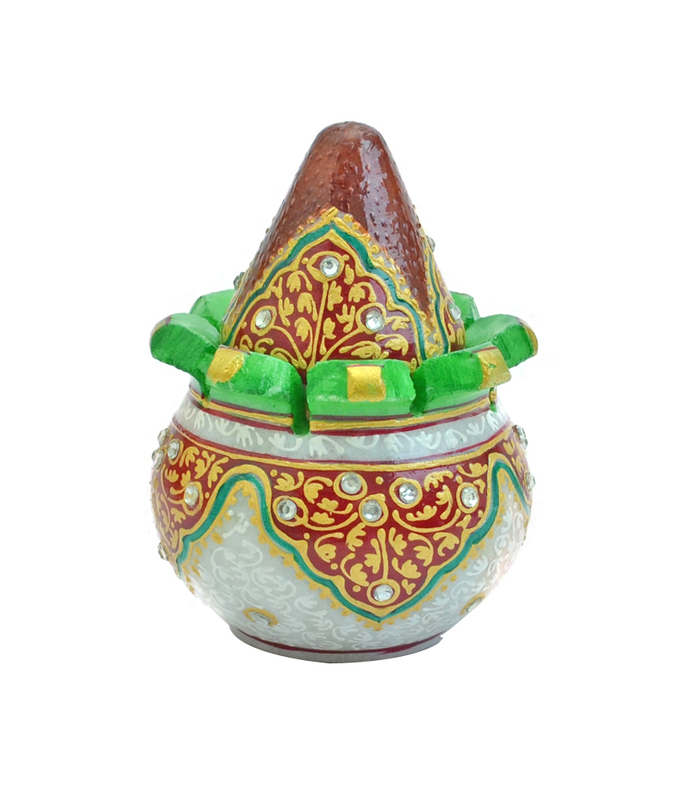 Style your home and office with this white Marble kalash sure to be admired by your guests. It serves as a great gift, especially around religious celebrations and festivities. 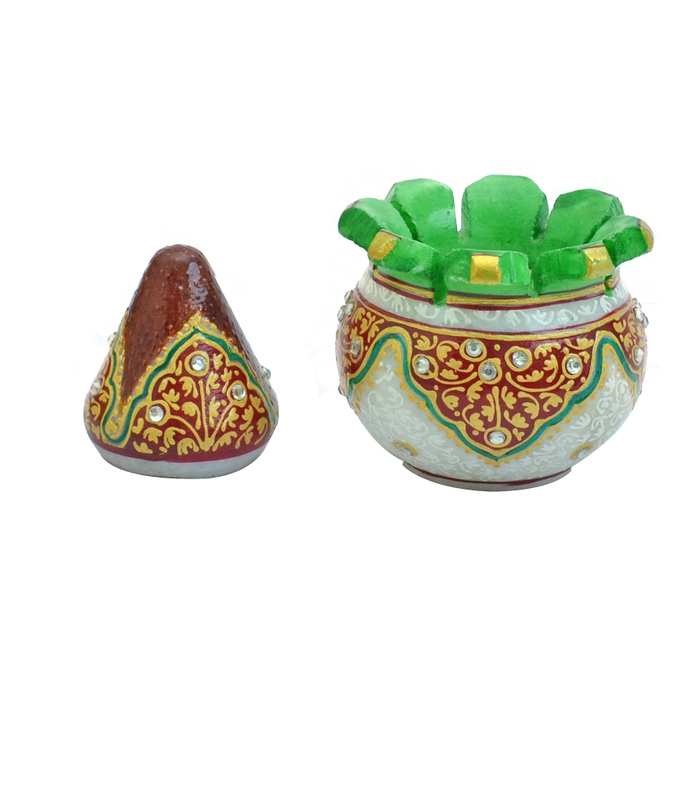 This handicraft has been made by skilled artisans from by using various traditional techniques. Place it at your home altar. Product colour may slightly vary due to photographic lighting sources or your Screen settings.